Carpet cleaning San Antonio – Our hot water extraction process is recommended by most carpet manufactures. At Baker Restoration we use the RX-20 Rotary Extractor which has 3 spray jets, matched with 5 vacuum slots making over 650 cleaning passes per minute. This incredible scrubbing action releases soils while fluffing up and restoring your carpet back to life. Our HydraMaster’s Boxxer 427 truckmounted unit and in combination with our RX-20 Rotary Extractor has earned the gold Seal of Approval for it’s extractor from the Carpet and Rug Institute (CRI), signifying that it meets the highest standards for carpet cleaning effectiveness. 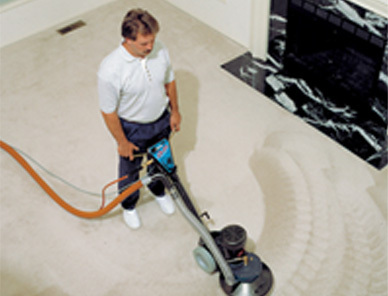 Carpet Cleaning in San Antonio, Steam Cleaning Pros. We know the importance of keeping your carpet and tile clean. Your tile and carpeting not only needs to look and smell clean in your home, it also represents a significant capital investment for your company and your house. Your carpeting not only represents a significant investment for you and your family, but also plays a major role in contributing to the overall image of your house. You can help maintain both the investment and overall beauty of your home by letting Baker Restoration Carpet Cleaning Experts create a custom-tailored carpet maintenance plan for you. This specialized program will reward you with years of dependable, economical service and maximize the life and appearance of your carpet. You can help maintain both the investment and overall beauty of your home by letting Baker Restoration Carpet Cleaning Experts create a custom-tailored carpet maintenance plan for you. This specialized program will reward you with years of dependable, economical service and maximize the life and appearance of your carpet. We also specialize in insurance claims for flood damage and water damage restoration services with 10 years experience in the insurance industry as a claim processor. Baker Restoration Carpet Cleaning San Antonio has the experience and service to clean your carpets or your tile in your home or business. Our San Antonio carpet cleaning professionals are experienced in all types of stains and pet odors. Call Us! 210.822.0500 or Schedule your cleaning and have Baker Restoration Carpet Cleaning San Antonio take care of all your San Antonio home and office cleaning needs.